How to Fix SYSTEM_THREAD_EXCEPTION_NOT_HANDLED (CMUSBDAC.SYS) BSOD on Windows 10? 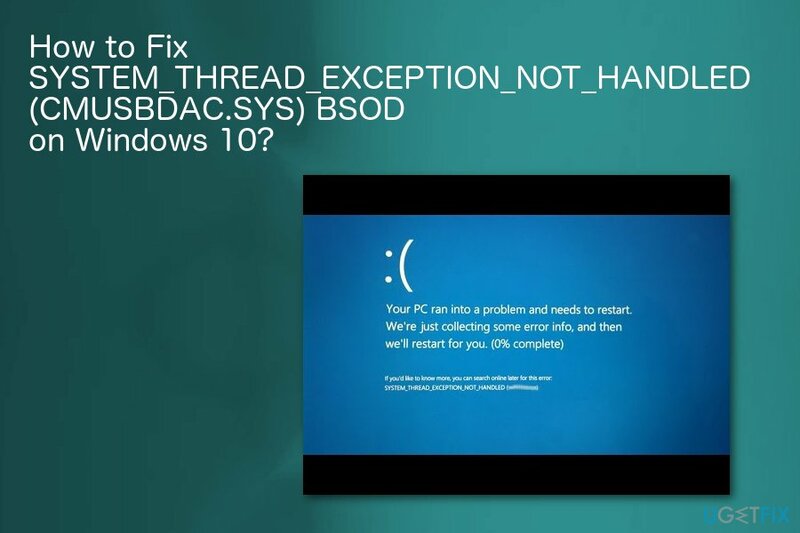 Home »	Fix » How to Fix SYSTEM_THREAD_EXCEPTION_NOT_HANDLED (CMUSBDAC.SYS) BSOD on Windows 10? Issue: How to Fix SYSTEM_THREAD_EXCEPTION_NOT_HANDLED (CMUSBDAC.SYS) BSOD on Windows 10? Hello. I’m a devoted gamer, which means that my PC is under huge pressure most of the time. I always thought that I take of PC’s optimization up till today. First of all, I installed Windows Updates and used my PC as usual. Then I had a virus on the system, which I managed to remove, at least I think so. Now I’m struggling with the BSOD CMUSBDAC.sys SYSTEM_THREAD_EXCEPTION_NOT_HANDLED. Can’t find anything helpful about this issue. Could you please help? SYSTEM_THREAD_EXCEPTION_NOT_HANDLED (CMUSBDAC.SYS) is the BSOD which has been bothering PC users since the release of Windows 10 Cumulative Update KB4016635. The blue screen of death usually occurs when using a USB Microphone. However, people have also reported its appearance while playing games, downloading updates or immediately after rebooting the system. According to some specialists, the CMUSBDAC.SYS error might be prompted by some faulty update components. However, others claim that the main reason why it interrupts users is virus/malware or the damage of C-Media USB Audio Class Driver. Unfortunately, the error still keeps causing issues for users worldwide. In reality, the file CMUSBDAC.SYS is related to the C-Media USB Audio Class Driver. The file itself can’t be removed or modified in any way because it belongs to the Windows’ I/O subsystem. Like the most of the BSOD, CMUSBDAC.SYS Stop error may be extremely troublesome, especially if the user is not technology inclined and has only basic knowledge about Windows OS maintenance. Typically it reoccurs 5 or 6 times a day which is a lot if we take into account the fact that each emergence of SYSTEM_THREAD_EXCEPTION_NOT_HANDLED (CMUSBDAC.SYS) bug forces the system to restart. Unfortunately, the official fixes are not yet available, but there is something you can try to restore your PC’s health. As we have already mentioned, the problem with these errors can be related to malware infections, so you should perform a full system scan before attempting any methods provided for fixing the error. The best thing you can do, in this case, is to check the system with Reimage for any malware and other issues. After this full system scan, you can try one or all of these methods. Make sure to try a few if the first doesn't work. Some people have reported that unplugging the USB Microphone helped them fix the CMUSBDAC.SYS BSOD temporarily. However, if you are using it regularly, you should fix the C-Media USB Device Audio Class Driver. Try to update it first and then, if the update does not help, reinstall the driver. Expand the Sound, video and game controllers section and locate C-Media USB Device Audio Class Driver. If it’s not there, look under Audio Inputs and Outputs. 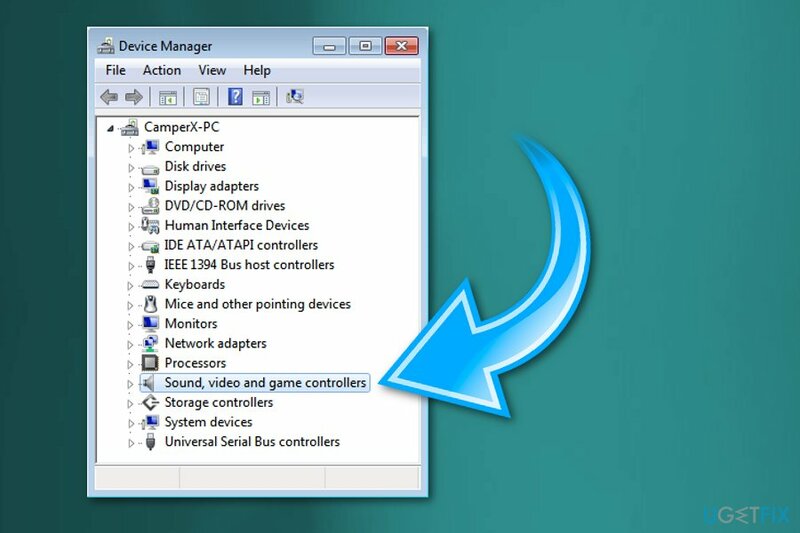 Re-open Device Manager as explained in step 1 and click Action tab at the top of the screen. When the scan results are ready, click Install driver. The system now should find the latest compatible of the C-Media USB Device Audio Class Driver automatically. If for some reason this process ends up with the failure, go to the manufacturer’s website and download the drivers manually. 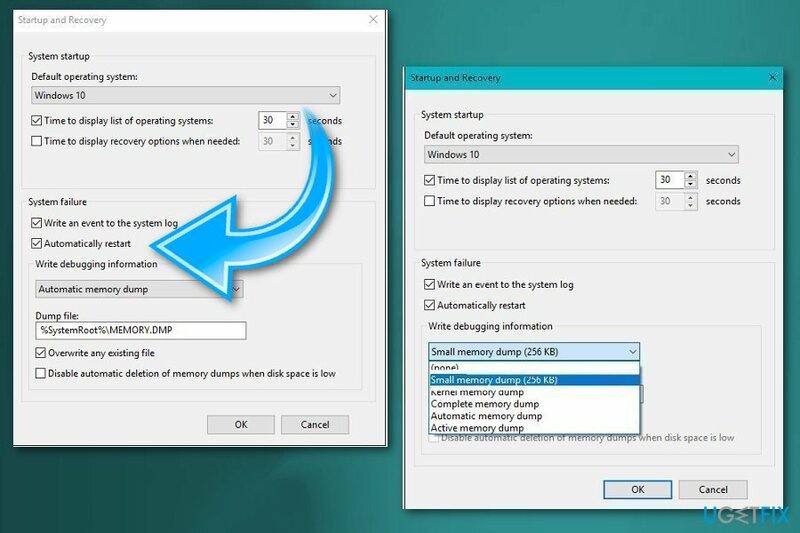 To perform this method, you have to have a System Restore Point created before the emergence of the SYSTEM_THREAD_EXCEPTION_NOT_HANDLED (CMUSBDAC.SYS) error. If you have, then initiate the steps below. If you don’t, then skip this method. Hold the power button to turn off your PC and then restart the system. Sometimes Blue Screen of Death creates minidump files that reveal the driver which is causing CMUSBDAC.sys BSOD on Windows 10. However, you need to decipher that file to read it. In this case, you should update drivers manually. Press Win+R and then type devmgmt.msc in the search bar and Enter. 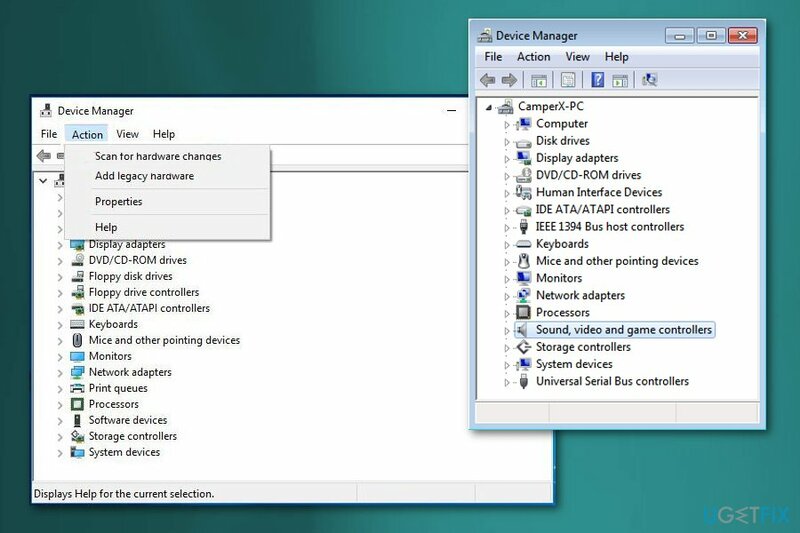 Now locate the drivers in Device Manager and update the ones that might need this. Right-click on the driver and select Update. Restart the device and check if the issue is still there. First of all, you need to locate the driver that is causing these issues with BSOD. It is a complicated process, so follow these steps carefully. Right-click on This PC and then select Properties. Choose Advanced system settings from the list. 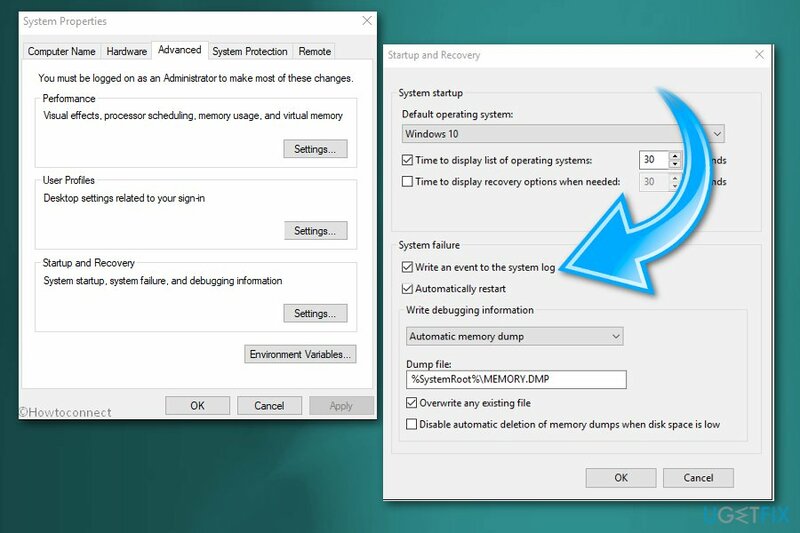 When System Properties appears on the screen go to Advanced tab and click Settings under Startup and Recovery section. Go to System failure section in the lower part of the window and mark the box Write an event to the system log. Open the drop-down menu under Write debugging information and choose Small memory dump (256kb) there. We believe that the last thing you desire is to reinstall your operating system due to such a seemingly simple problem as the SYSTEM_THREAD_EXCEPTION_NOT_HANDLED BSOD. Unfortunately, this solution is the last thing that can be offered in case the previous methods did not help. You can find detailed instructions on how to reinstall Windows 10 on the official Microsoft’s website. ^ Jonathan Chadwick. Microsoft freezes Windows 10 update after files reported missing. CBRonline. Breaking Tech news.